Pardon me. May I give you a few tips on travel etiquette? In 1948, socialite Millicent Fenwick wrote Vogue’s Book of Etiquette, and 70 years later, her book is more relevant than ever. Etiquette classes are popping up everywhere — for grown-ups and kids, too. The fact is, good manners empower you no matter your age, and a simple “hello” when you’re traveling goes a long way. Of course, manners classes are helpful, but in the end, it really comes down to us as parents — how we behave and how we interact with others we meet when on the go. Children are natural mimics, so if you have good manners on your travels, you’ll inspire your kids to have good manners, too. Tired children will forget all manners. so you can relax and eat. Stressed, hungry kids don’t think about good behavior. A sugar-high child on a plane? No fun. Sticker books, Model Magic and Legos won’t disturb others. Bring headphones for games or music. Teach your kids to look people in the eye and smile. 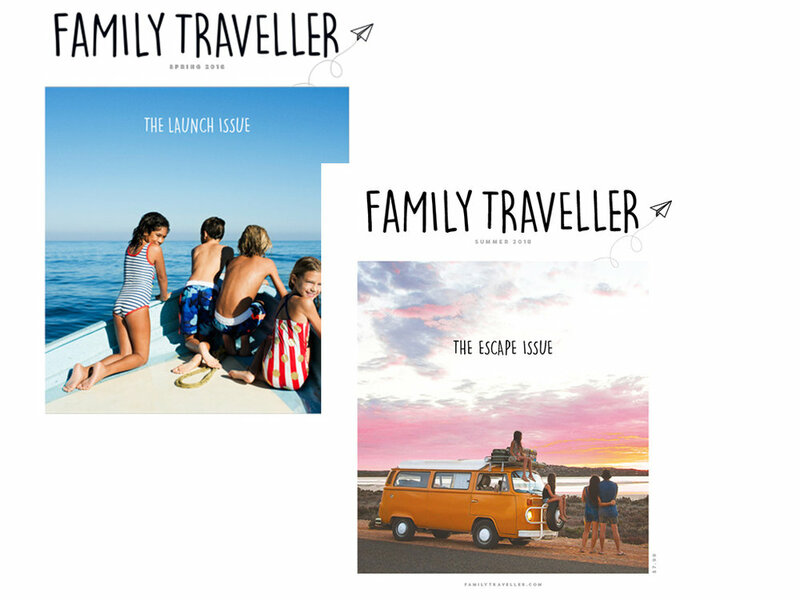 Family Traveller magazine is bursting with all the inspiration, advice and tips you need to plan a successful family vacations that you and your kids will remember forever. In the pages of Family Traveller, you’ll find ideas for vacation destinations and practical tips on how to get the most out of them with your family. From an experiential tour of Thailand to a five-star resort with amazing activities for kids, we cover it all. They have family guides to major cities, expert advice, celebrity columns and contests – plus details on the latest openings, travel trends, products and more.